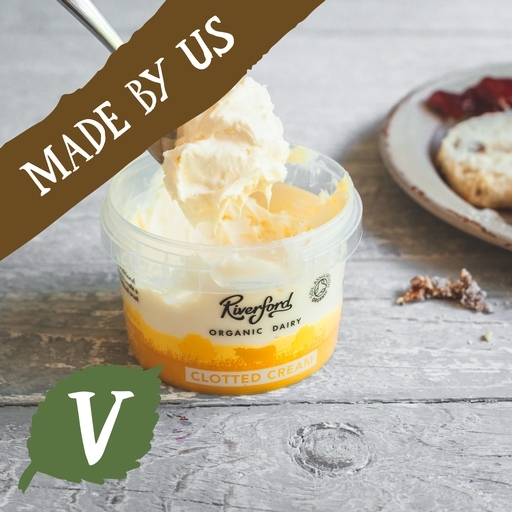 Our clotted cream is made at the Riverford Dairy. We mess about with our milk as little as possible. The cows are milked every day and the milk is pasteurised.